It was obviousy from the very beggining that Mueller’s investigation was seriously compromised! We already know the FBI agent Peter Strzok was sending anti-Trump messages to his colleague- an FBI lawyer Lisa Page. But Strzok and Page wer removed after the Justice Department’s inspector general discovered text messages in which both expressed strong criticism of Trump. These anti-Trump texts between Peter Strzok and Lisa Page could be proof of “coup” going on in FBI special counsel Robert Mueller’s Russia probe to remove President Donald Trump from office. And, nearly a month ago, DOJ inspector general Michael Horowitz revealed the existence of additional anti-Trump text messages from Lisa Page to Andrew McCabe that have been withheld from the public. 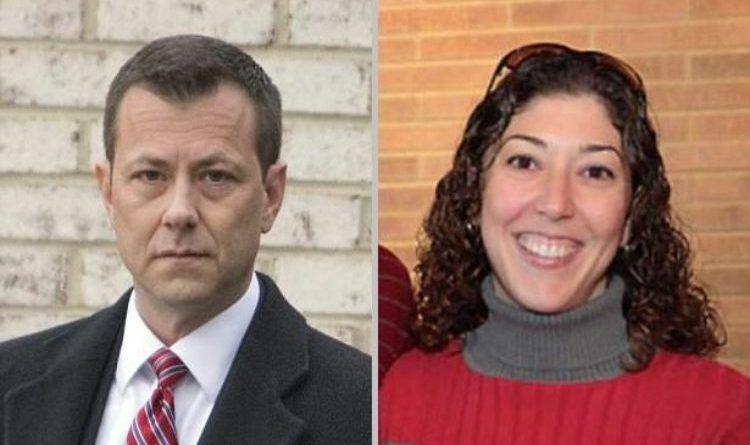 In a Congressional hearing in front of the Senate Judiciary Committee, Horowitz also disclosed there are additional text messages between the FBI agents Lisa Page and Peter Strzok that still have not been recovered. Via The Hill: “Memos the FBI is now producing to the Department of Justice (DOJ) inspector general and multiple Senate and House committees offer what sources involved in the production, review or investigation describe to me as “damning” or “troubling” evidence. Solomon adds: “In one email exchange with the subject line “Crossfire FISA,” Strzok and Lisa Page discussed talking points to get then-FBI Deputy Director Andrew McCabe to persuade a high-ranking DOJ official to sign off on the warrant. Just how deep does the FBI corruption goes? Every American should be scared stiff about what is happening here. Congress wants to know when the investigation started. Their story is it started 7/31/16. All documents produced support that timeline. Congress and me believe it started weeks if not months before that date. If documents show they used spies etc. before 7/31/16 then it will prove the FBI/DOJ tried to frame President Trump. If I am correct then I say: Prosecute and hurry up! What do you think? Don’t forgot to share this article so can many people know the real truth! ← LONDON MAYOR KHAN WHO APPROVED ‘BABY TRUMP’ FLOAT JUST GOT ULTIMATE KARMA!